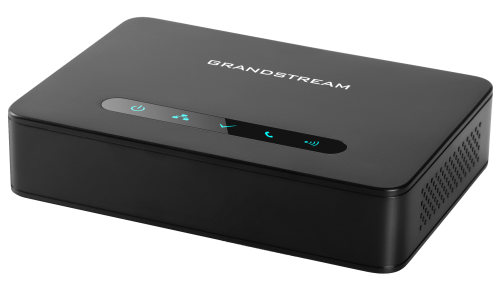 Grandstream offers the NEW DP730, DP722 and the DP752 DECT Base unit. Legacy models also include the DP720 cordless IP Phone which can be used with the DP750 base. Pair up to 5 handsets with one base unit or add multiple bases for more expansion. 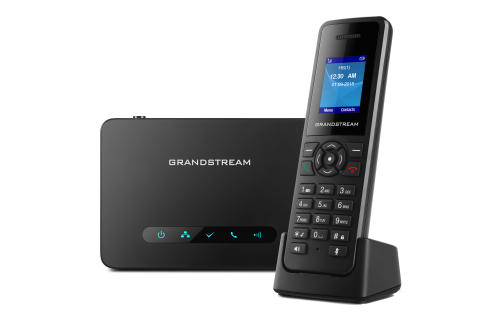 The Grandstream DECT VoIP cordless phones / base offers stand alone SIP trunking with a VoIP provider, or integrate with Grandstream's IP-PNX phone systems for businesses requiring mobility and performance. They are a great addition to any home office, small or medium sized business, in warehouses, retail stores, or residential environments. 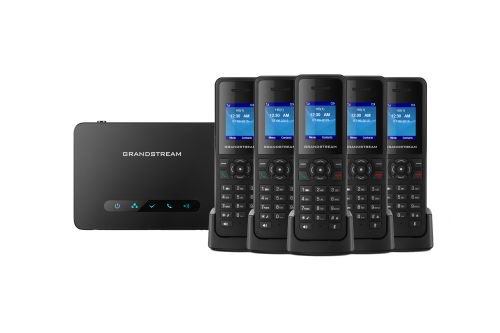 The Grandstream DP730 is a DECT cordless IP phone with 5 handset expandability options. 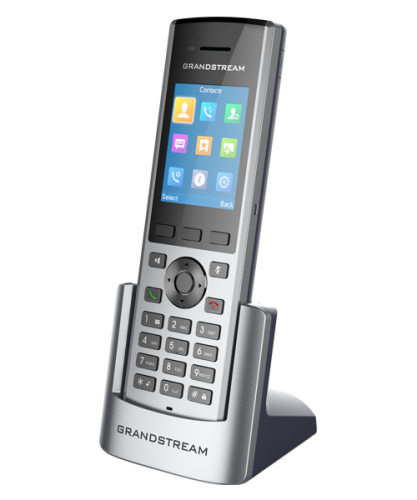 Use with the Grandstream DP752 base unit with up to 5 handsets. 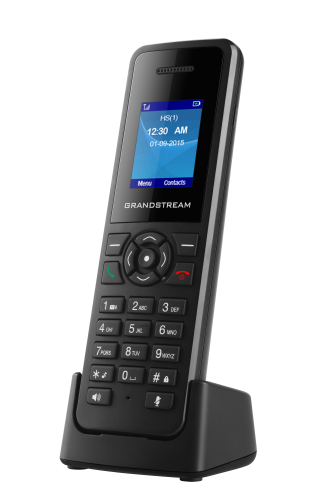 The all new DP730 is a DECT cordless VoIP phone from Grandstream. 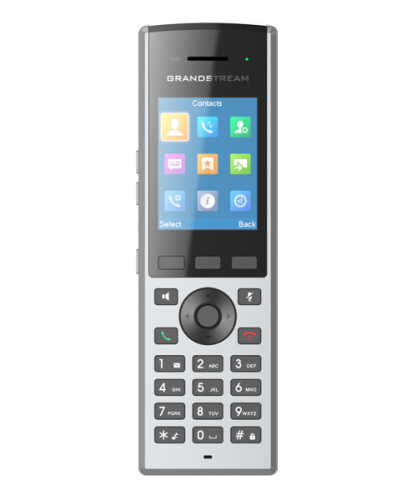 It is the latest breakthrough in SIP cordless devices with on of the largest screens in this class of business telephone equipment. The ultra large 2.4" (240x320 resolution) screen provides for better user access and information. 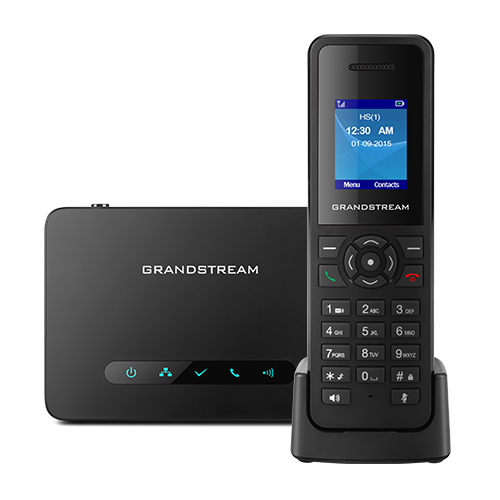 Order the combo set which includes the Grandstream DP720/handset + DP750/base unit kit. 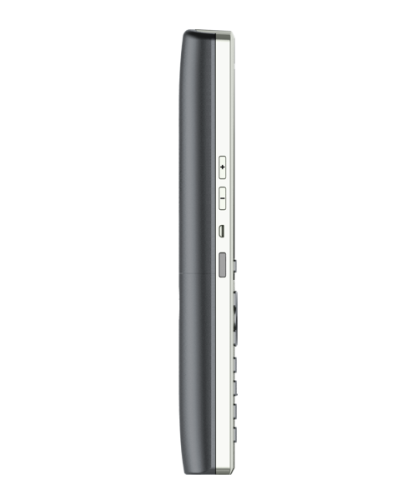 Add additional handsets (up to 5 total) per base unit for expansion capacity. The DP720 cordless handset with the DP750 base unit offer a DECT IP/VoIP solution that allows users to mobilize their VoIP network throughout any home office, small business, corporate, warehouse, retail store and residential environment without any restrictions. 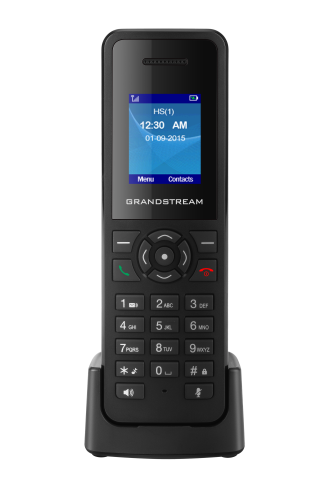 The Grandstream DP720 is a DECT cordless IP phone with expandability options. 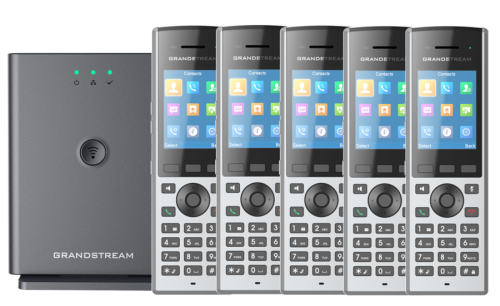 Use with the Grandstream DP750 base unit with up to 5 handsets. The DP720 is a DECT cordless VoIP phone that allows users to mobilize their VoIP network throughout any business, warehouse, retail store and residential environment. Up to five DP720 handsets are supported on each DP750 (base) while each DP720 supports a range of up to 300 meters outdoors and 50 meters indoors from the base station. 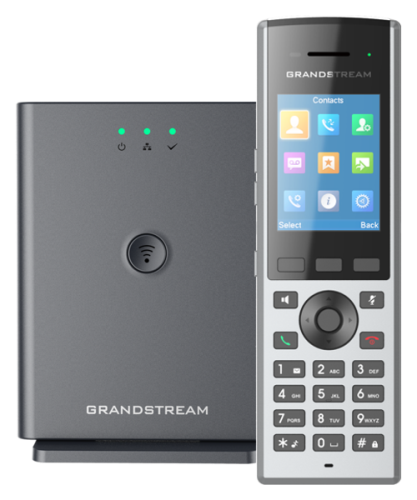 The Grandstream DP750 is a powerful DECT VoIP base station that pairs with up to 5 of Grandstream’s DP720 DECT handsets to offer mobility to business and residential users. 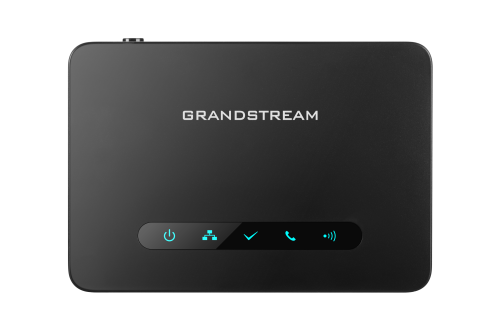 This Grandstream IP-Base is DECT and the DP750 supports a range of 300 meters outdoors and 50 meters indoors to give users the freedom to move around their work or home space, delivering efficient flexibility.